If you wanted to enter it and try your luck, you could have done by purchasing the ticket which cost Rs 40 only. The winner of the first prize will get a benefit of Rs 80 lakh cash. The second prize, third, fourth, and fifth will get a sum of Rs 5 lakh, Rs 1 lakh, Rs 5000, and Rs 2000 respectively. There’s also a consolation prize worth Rs 8000 to be given. Rs 1000, Rs 500, and Rs 100 will be provided as the sixth, seventh, and 8th prize winner respectively. 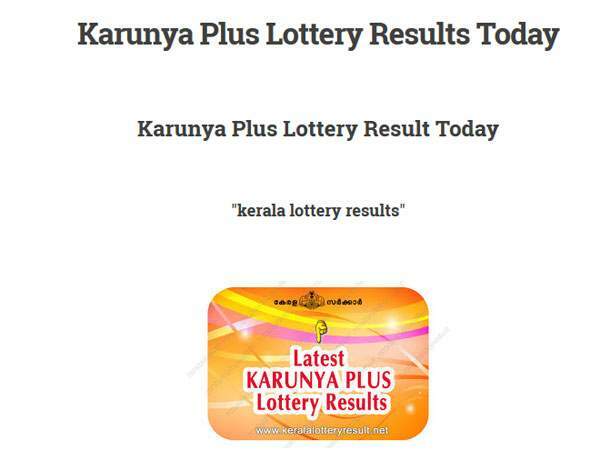 If you have got the winning numbers and won the prize, then you are suggested to first verify the winning figures with the Kerala lottery results which will be made available in the Kerala Government Gazette. After that you will be required to surrender the winning tickets within 30 days of publishing the results. The winning amount will be given to the winners after a tax deductions. Stay tuned for more Kerala lottery news. Previous articleKasautii Zindagii Kay (KZK) Season 2 23rd January 2019 Written Episode Update: Anurag realizes his feelings for Prerna!